A new article in « Case Studies in Engineering Failure Analysis » published on Sciencedirect.com. Gears are very reliable components and normally work 5 to 6 years without failure. 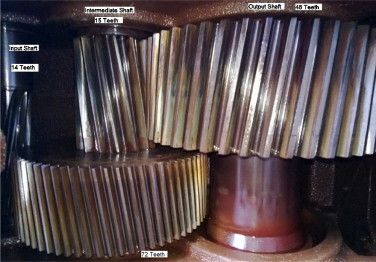 This article is a case study of failure analysis of a gearbox which was failed in three months after its installation. The problem was identified by maintenance engineers through vibration monitoring of gearbox. Ce contenu a été publié dans Publications par geraldb17, et marqué avec analyse de défaillances, case study, Failure analysis, Gearbox, pitting, Spalling. Mettez-le en favori avec son permalien.